BioForward is Wisconsin’s advocate for biohealth business issues. We support the development of state policies in Wisconsin that support the health and growth of our member companies, promote our talented workforce and strengthen our already robust Wisconsin research institutions. We are committed to educating the Wisconsin State Legislature about our industry while also informing our members about critical state legislative issues that could affect their businesses. BioForward believes in the strength of community. We work very closely with other Wisconsin stakeholders and collaborate on a daily basis with our partners from across the biohealth industry in Wisconsin to unify our economic sector and to illustrate the potentially far-reaching impacts that legislative decisions can have on our industry and medical innovation. BioForward is one of the founding members of Cures for Tomorrow, a coalition of Wisconsin biohealth partners committed to continuing to educate Wisconsin citizens about the value of research to the state’s economy. The Wisconsin State Legislature is currently out of session, but BioForward is already preparing for the 2017-19 session. Below are our top policy priorities that will define our advocacy agenda for the next state legislative session. A competitive business, tax and regulatory environment is critical for businesses located in the State of Wisconsin. As such, BioForward supports legislation and administrative rules that enhance a strong business climate for our member companies. We support state economic development initiatives that will help our biohealth companies thrive and grow. We work with the state legislature to encourage the development of new tax and business incentives that make sense for the state’s economy and that benefit our biohealth economy. Wisconsin’s biohealth industry has a major economic impact. This industry contributes $27 billion in total economic output and generates $716 million in total state and local tax revenue. Innovation is a driving force on bringing prosperity to Wisconsin. Over 3,000 patents have been granted during the last 5 years and federal funding for research and development exceeds $1 billion in NIH funding and other capital sources per year. View the economic impact report here. Repeal of Personal Property Tax – Budget Bill (and AB 277/SB 218): The 2017-19 biennial budget included a provision that provides, effective with property assessed as of January 1, 2018, machinery, tools and patterns (Schedule C from Statement of Personal Property) will be exempt from the personal property tax for businesses not specifically classified by DOR as manufacturers. (Wisconsin Law defines “Machinery” as a structure or assemblage of parts that transmits forces, motion or energy from one part to another in a predetermined way by electrical, mechanical or chemical means, but “machinery" does not include a building.) BioForward has been a part of a large Coalition that had been championing this change all session long and we registered in support of the stand-alone bill version o this proposal when it was heard before a legislative committee in May 2017. At BioForward, we believe that a strong biohealth economy is inextricably linked to a thriving research base. Our research institutions are worldwide leaders in innovation and intellectual property creation. Accordingly, our state legislative program is fiercely supportive of initiatives that will further enhance our world-class research institutions. We not only support strong funding for research institutions across Wisconsin, we are continually looking for opportunities to enhance and develop partnerships between institutions and private companies. According to the Milken Institute State Technology and Science Index 2014 report, “States that continued to invest in innovation and education are emerging stronger from the recession.” The report recommends that “decision-makers “…rethink the recessionary policies that led to cuts in spending and significant tuition increases at public universities. These universities are among the nation’s greatest assets in innovation, and state leaders must be mindful of pricing the future generation of scientists and engineers out of the market.” At BioForward, we believe that strong research institutions are an essential, irreplaceable element to a strong biohealth economy. Additionally, BioForward contributes and supports Cures for Tomorrow, a coalition of Wisconsin academic research institutions, bioscience-related trade groups and health care providers. The coalition supports and advocates for biomedical research in the state and is committed to educating the public about the value of biomedical research to individual patients and the state as a whole. Learn more about Cures for Tomorrow here. 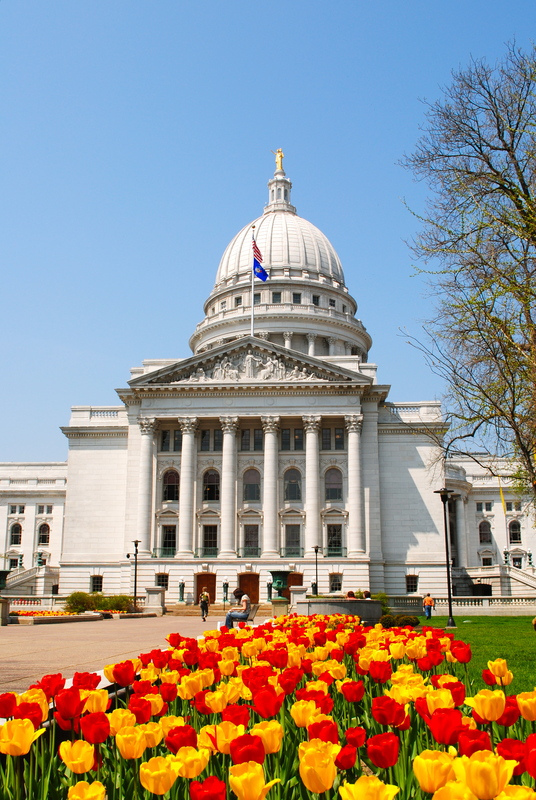 BioForward has been working with BIO and a nationwide coalition of stakeholders to seek the adoption of biosimilars authorizing legislation in Wisconsin during the fall 2017 session. This legislation has been adopted in 36 states to date. The legislation was authored by a very strong group of bi-partisan legislators: Reps. Mike Rohrkaste (R), John Spiros (R), and Deb Kolste (D); and Sens. Leah Vukmir (R) and Tim Carpenter (D). With bi-partisan support, BioForward applauds the passage of the biosimilars authorizing legislation (AB679 / SB575 ). This bill will allow pharmacists to dispense biosimilars, unless the prescribing authority specifically prohibits substitutions, savings patients money through cheaper equivalents. Biosimilars are biological products are therapeutically equivalent to or otherwise interchangeable with other biological products, approved and regulated by the FDA. Under previous Wisconsin law, pharmacists could not dispense cheaper biosimilars in place of prescribed biological products. This legislation also includes labeling and reporting requirements for biological products. BioForward and their legislative council, Jordan Lamb of DeWitt Ross and Stevens, has worked persistently over the past year for the passage of this bill that will reduce costs of patients while also boosting the prosperity of Wisconsin biohealth companies that produce these cost-friendly alternatives. Wisconsin has made great strides, but still has room to grow, in terms of increasing access to funding and business partnerships for early stage research, development and product commercialization. 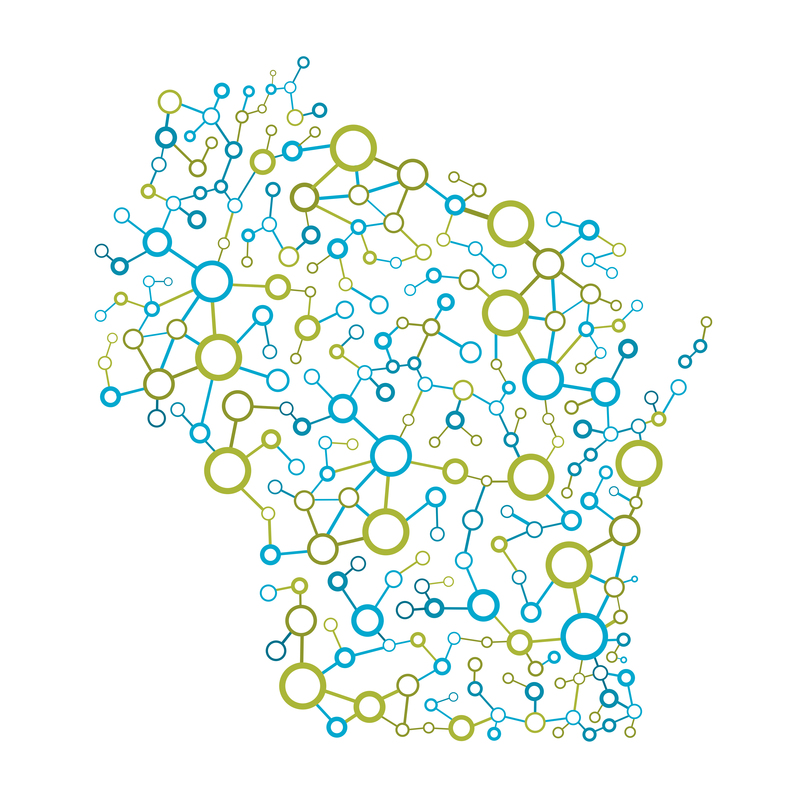 BioForward continually supports state and local initiatives that will encourage Wisconsin investments and collaborations that foster the growth of emerging companies in our state. We work with state decision-makers to focus on our sector because its growth can shape the economy statewide. For every one direct biohealth job, two more indirect jobs are created in Wisconsin. Wisconsin’s biohealth industry has 105,000 direct and indirect induced jobs. Average wages of $73,241 exceed private sector average wage in Wisconsin by more than $30,000 and contribute over $6.5 billion in employee compensation. Qualified New Business Venture (QNBV) that drives investment into early-stage companies by providing investor tax credits in certified companies. SBIR Advance that provides state match funding, training, and other resources to Wisconsin businesses to advance the commercialization of SBIR/STTR-funded technology and expedite economic and job creation impact in Wisconsin. View our Advocacy Updates page for our most recent State Advocacy updates.